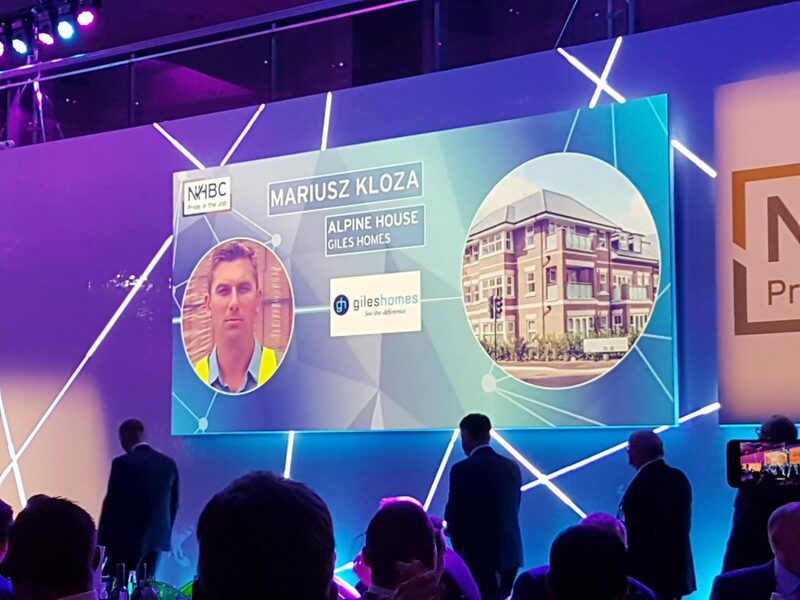 We are proud to announce that Site Manager Mariusz Kloza has won an NHBC Pride in the Job Quality Award for our latest development at Alpine House, Stanmore. Pride in the Job is the only award scheme in the UK to recognise the contribution a site manager makes to a development. It is one of the most intense and celebrated awards in the industry, marking out recipients as exceptional performers in UK housebuilding. It has helped drive up the standard of new UK homes, producing a better end product for homeowners. Now in its 35th year, NHBC inspectors began judging developments for the current PIJ campaign eighteen months ago, assessing managers against stringent criteria based on the definitive technical standards laid out by NHBC. Single Home builder – a site manager working on the build on an individual home. On Friday 15 January 2016, the Pride in the Job Supreme Awards for 2015 took place at the Park Plaza Westminster Bridge Hotel, London. 43 Regional Award winners attended the event to compete for the ultimate accolade – to be named Supreme Winner in their category. 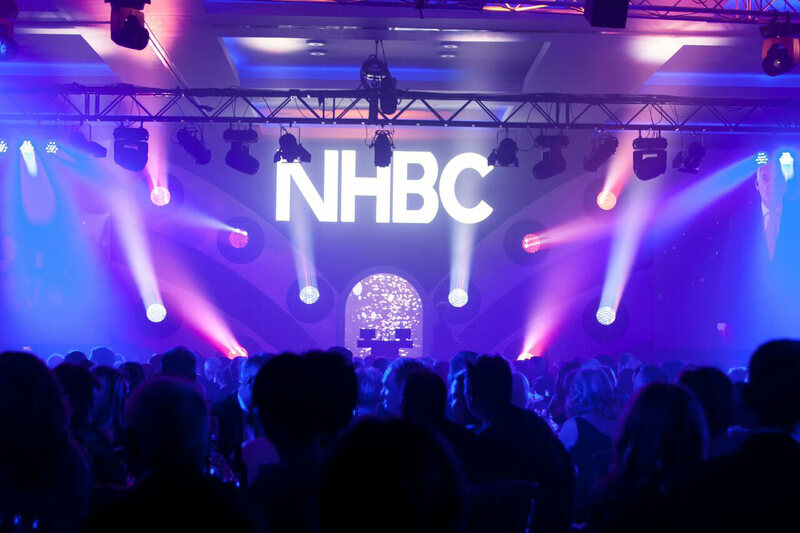 The event was hosted by Mike Quinton, NHBC’s Chief Executive, with after dinner entertainment provided by comedian, Kevin Bridges. 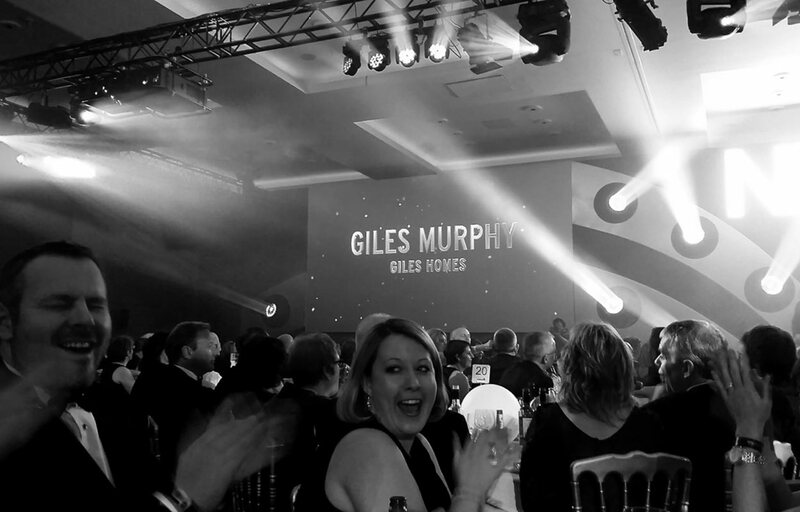 Experienced site manager Giles Murphy from Giles Homes, has been crowned regional winner for the Southern region in the NHBC Pride in the Job Awards 2015. 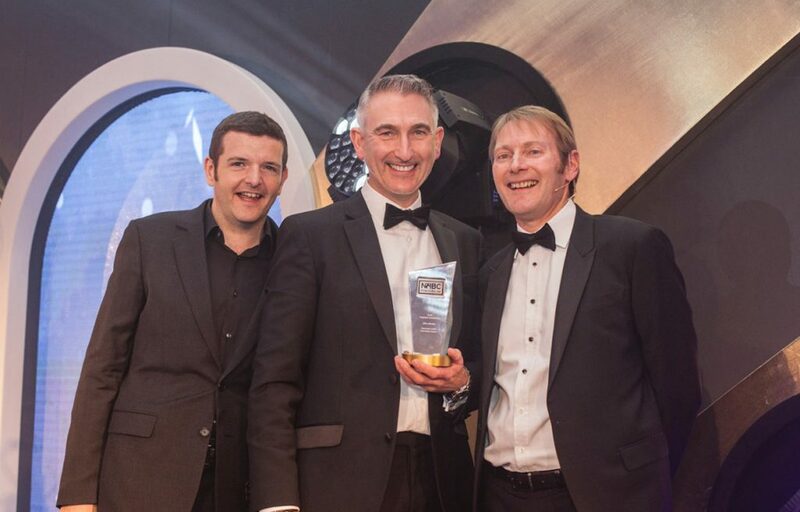 These awards are known as ‘the Oscars of the House Building Industry’, and for 35 years have been rewarding the best site managers delivering the high quality homes the country so desperately needs. Giles was selected from around 15,000 UK site managers, and was one of twelve recognised at a ceremony held at Newbury Racecourse for his site Saxby Court in Bushey. “NHBC Pride in the Job Awards recognises the hard work it takes to build high quality homes and rewards the excellence these awards uncover. Last year NHBC registered over 145,000 new homes, site managers play an important role in delivering these. And by adding a competitive element to house building, recognising exceptional site managers like Giles, Pride in the Job promotes continuous improvement in the quality of new homes, year on year, for homeowners and their families to enjoy. 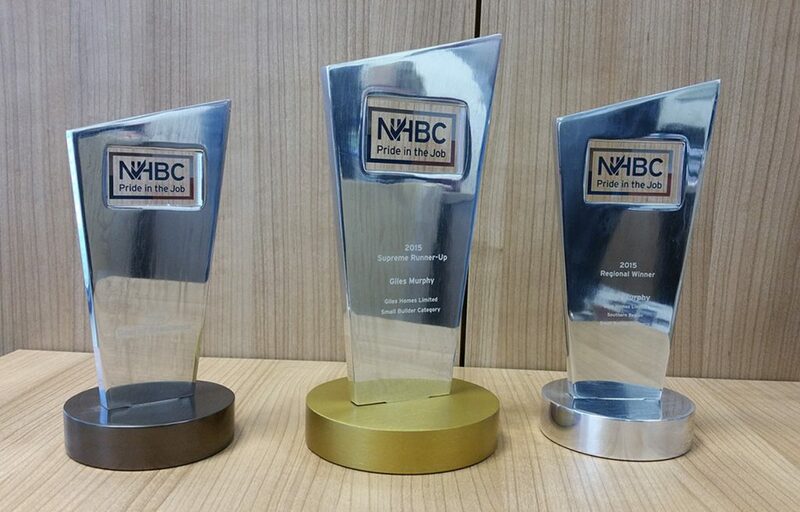 Giles Homes are delighted to announce that their Site Manager and Managing Director, Giles Murphy, has been awarded a prestigious NHBC “Pride in the Job” Quality Award for their Canterbury Court development in Harrow Road, Sudbury.